It’s UP week! UP is one of those rare movies that appeals to everyone from 5 to 105. 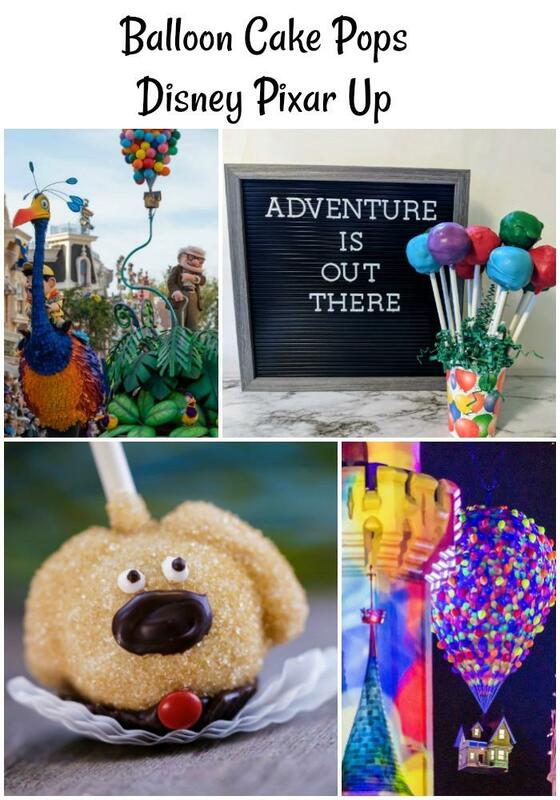 I’ve got some cute balloon cake pops to share with you to celebrate the 10th week of Pixar Fest. I love UP! It has such a wonderful message. I’m sure you’ve seen UP, but if you haven’t, you must! It celebrates love and friendship. If you’ve ever lost someone you love, you can totally relate to Carl. You feel lost and alone and don’t want to be bothered. We could all use a Russell in our lives. 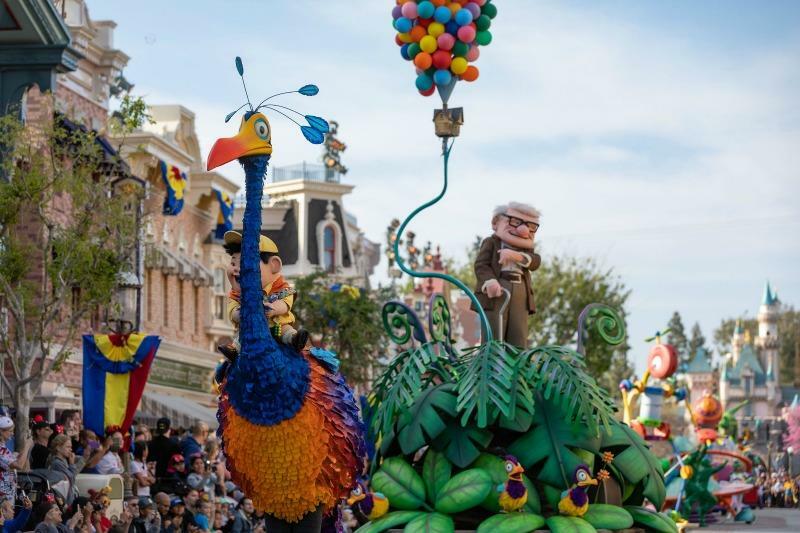 UP is featured in both the Pixar Play Parade and Together Forever-A Pixar Nighttime Spectacular. 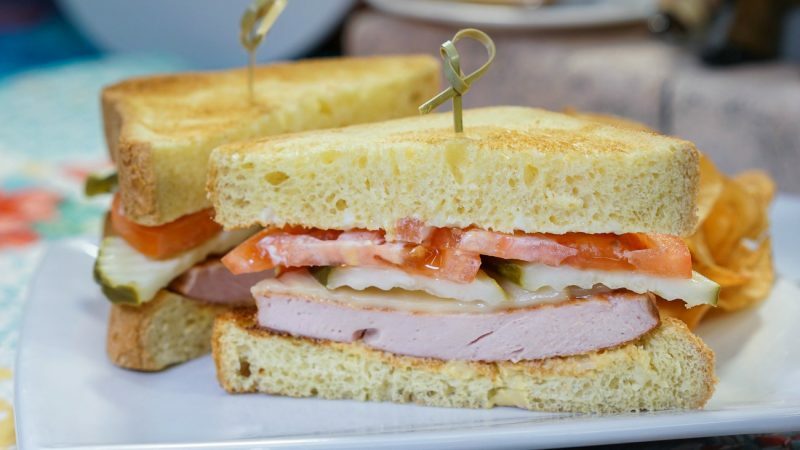 You can get Carl’s Fried Bologna Sandwich at Carnation Cafe, and I’ve heard that it is delicious! One of my favorite parts of UP is the fact that a bunch of balloons are able to fly Carl’s house all the way to South America. I mean, we know it can’t REALLY happen, but imagination and dreams can take us anywhere. 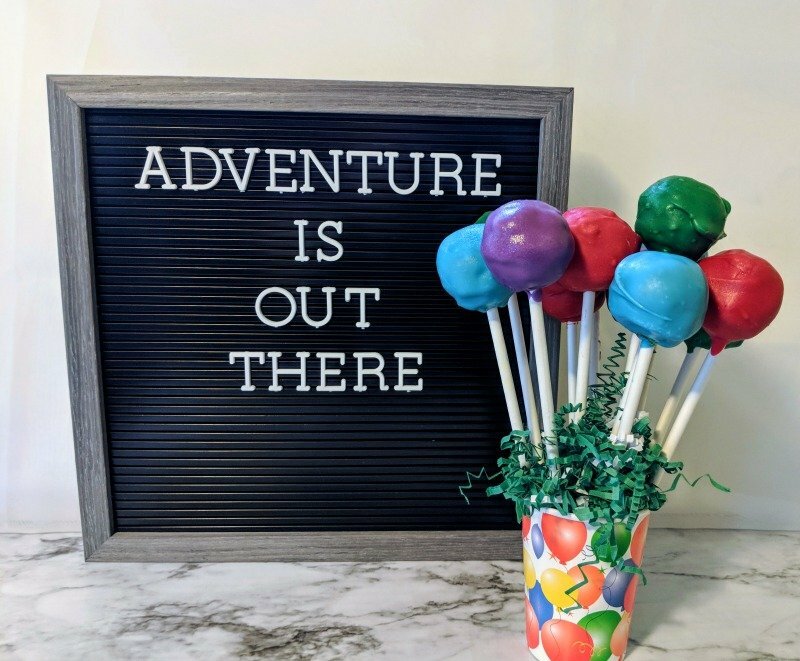 Life is an adventure. Grab the balloons and go! In the meantime, enjoy these yummy cake pops. You can look at my GUARDIANS OF THE GALAXY post for the recipe. Just don’t add the food coloring, and use some bright colored candy melts for the coating. I just met you and I love you! Oh, Dug! I remember seeing Dug on the UP trailer and thinking, “This is going to be a great movie!” Dug steals the scenes he is in in UP! Squirrel! is one of the quotes my kids and I regularly say even 9 years later. I mean who can resist? And the cone of shame! Doesn’t EVERYONE call it that now? If I see a dog or cat wearing a cone, it’s the cone of shame. 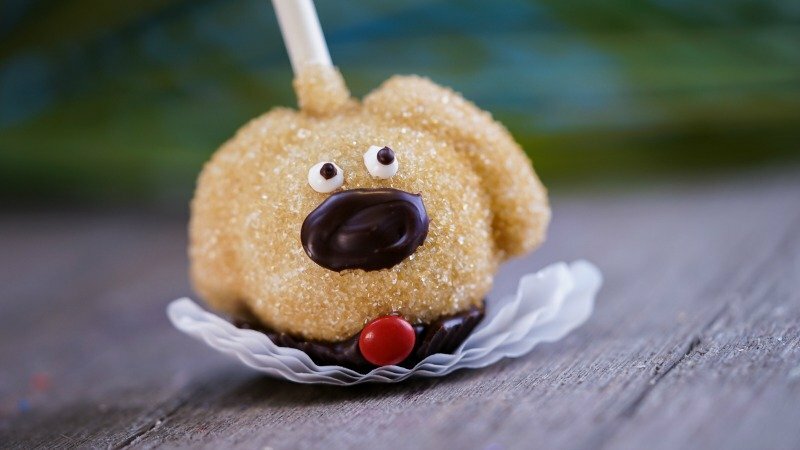 You can get this adorable Dug cake pop during Pixar Fest at the Candy Palace in Disneyland. This week, Life, Family, Joy has a Grape Soda Float for you, and They Call Me T has Ellie Disney Bounding outfits that you’re going to love!